Thanksgiving is such a special time to gather with family and friends to create fun new memories, share what we are thankful for and let’s not forget…eat all that delicious food! 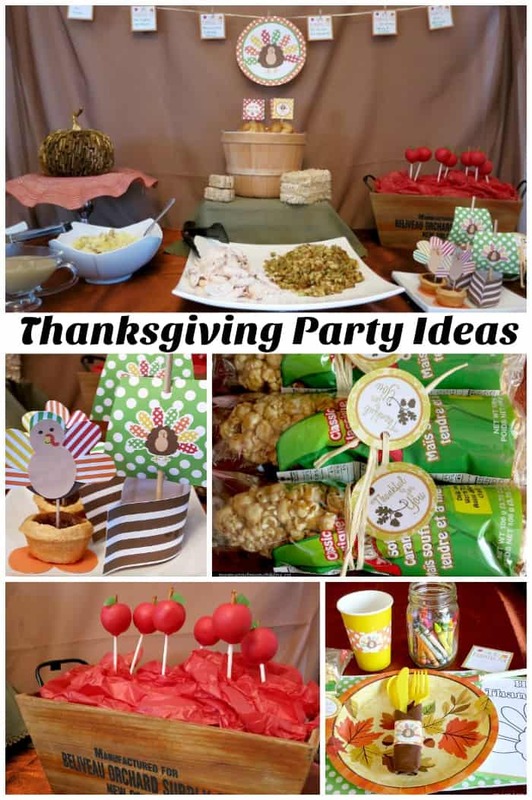 The printable party supplies featured in this party are by Amanda’s Parties TO GO and they are free! 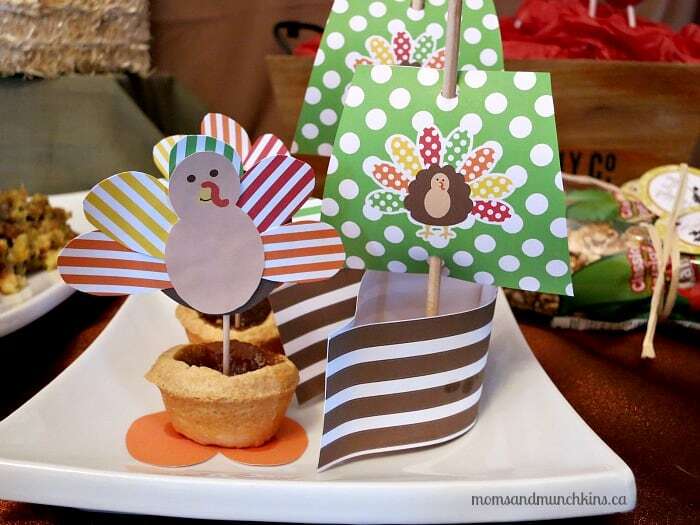 You can head over to print your own at Amanda’s Parties TO GO – scroll down to the Thanksgiving section. 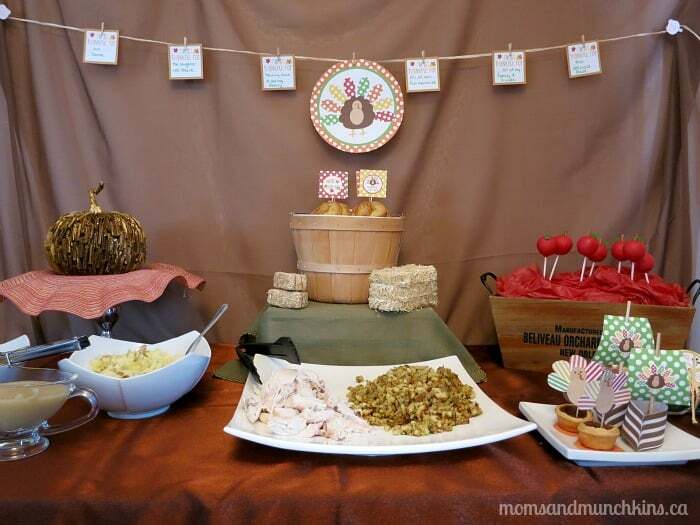 A fun idea for a banner is to give each guest a printable “I’m Thankful For” card and have them write something on it that they are thankful for. 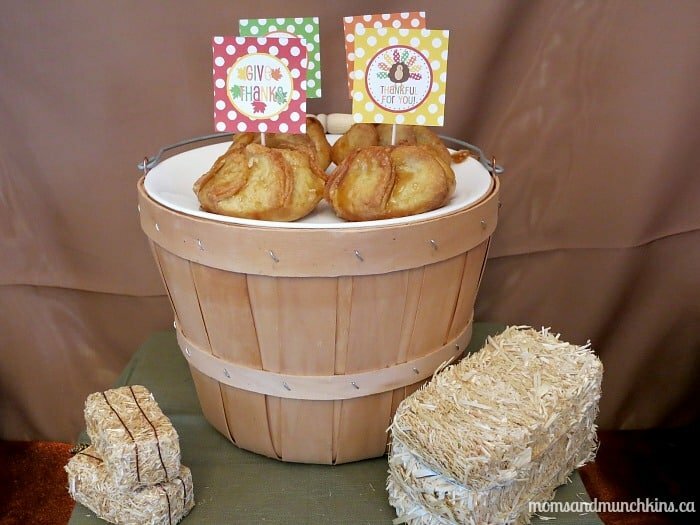 These can then be secured to a banner ribbon with a mini clothespin displayed behind the food table. 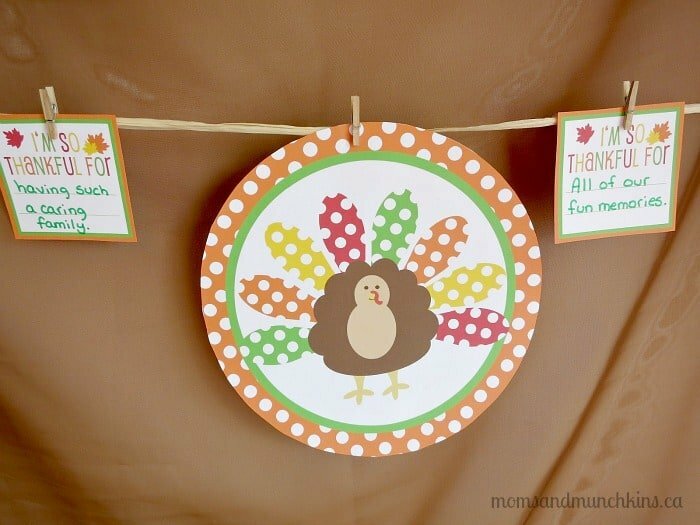 Not only is it a cute banner but it’s a great way for everyone to share what they are thankful for. 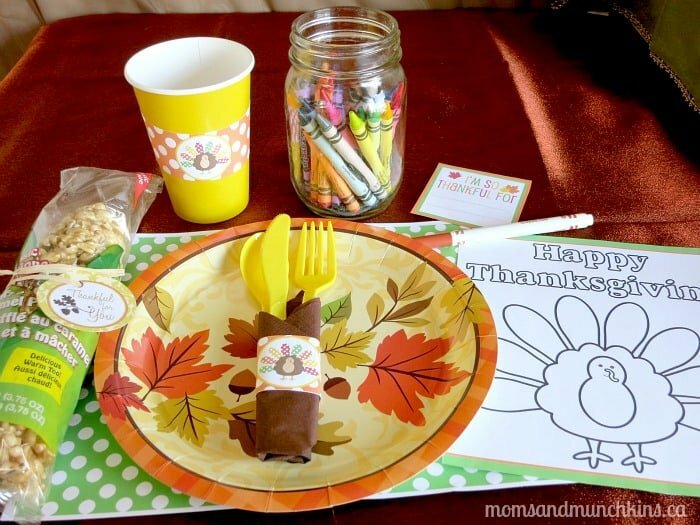 For place settings for the kids, each child can be given a printable coloring page and a small mason jar filled with crayons. It’s a great way to keep them entertained while the adults take time to eat and visit. 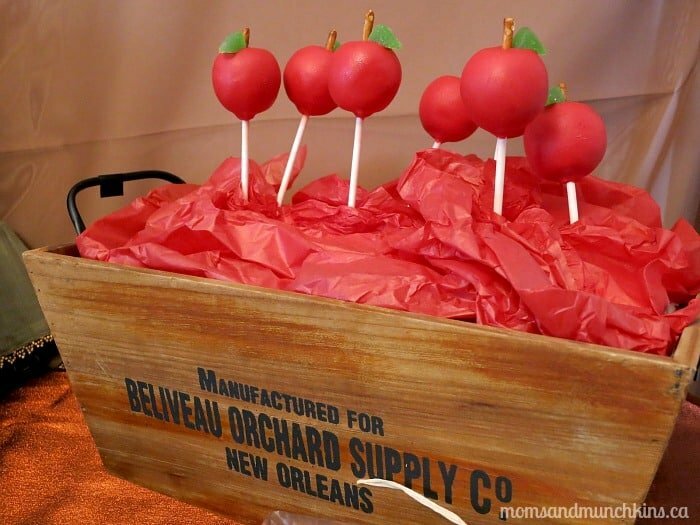 For a different type of dessert that can also become a take-home favor, guests can create their own candy apples with a few candy apple supplies, melted chocolate, crushed chocolate bars and candy. 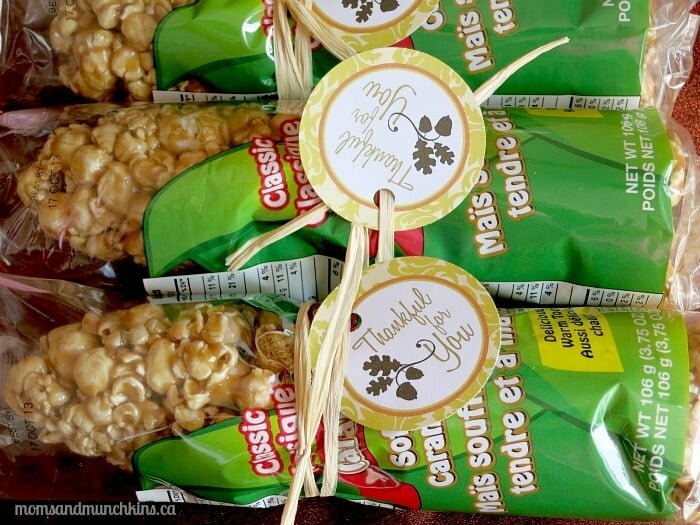 Be sure to supply bags and ribbons so guests can take home their candy apple to enjoy later. A simple active game (perfect for working up an appetite for supper) is turkey tag. One person is chosen to be the “farmer” and the other players are the “turkeys”. The farmer has to try to tag each of the turkeys as they run around making “Gobble Gobble” noises. 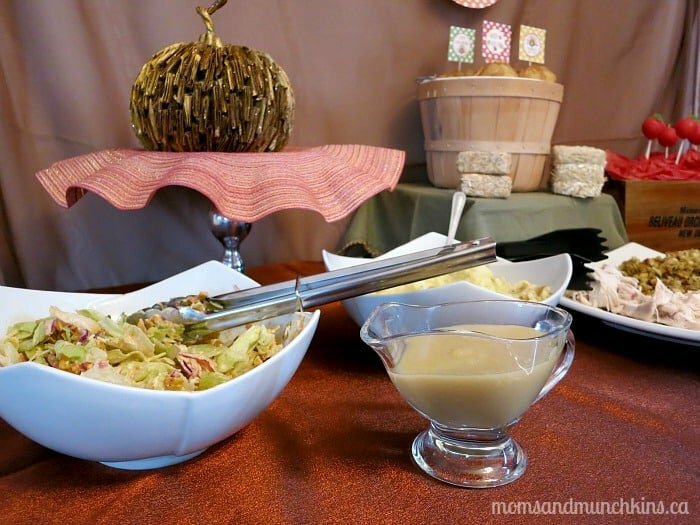 Did you know that Moms & Munchkins has a page dedicated to Thanksgiving ideas? 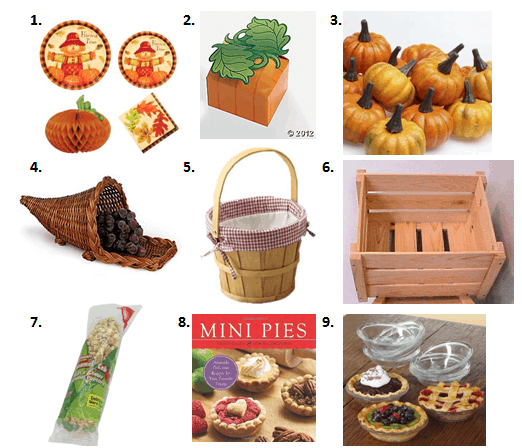 There you’ll find some free printable Thanksgiving games, decoration ideas for a kids table, loads of recipes and more! We’d love to see you following along on Facebook, Pinterest and Twitter as well. Be sure to say HI so we can greet you!